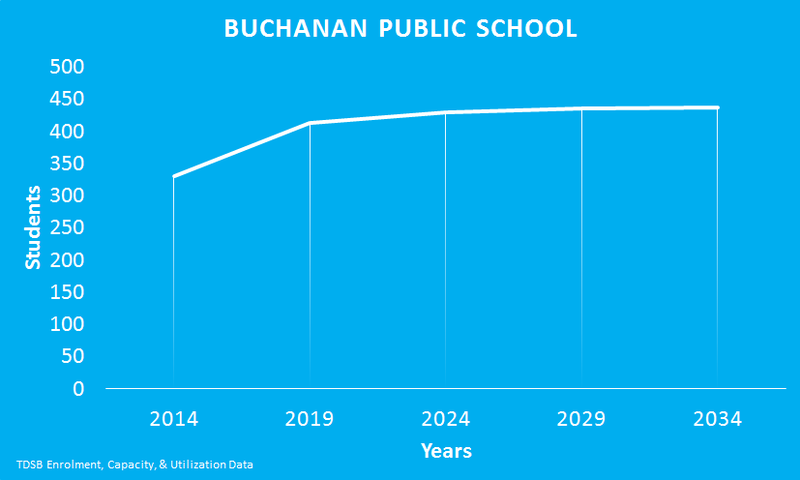 The TDSB projects that Buchanan Public School’s enrolment will continue to grow over the next 20 years. In ten years the school will be overcapacity. Buchanan Public School supports students with five special needs classes focusing on Mild Intellectual Disabilities, Primary and Junior Autism Programs, and Home School.